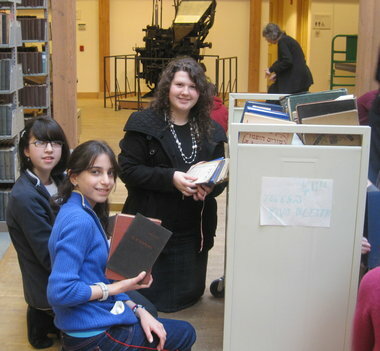 Lubavitcher Yeshiva Academy in Longmeadow is getting ready to start the school year with a new way of educating students. “The Leader in Me” program is being launched in schools under Jewish auspices as a way to help students develop essential life skills and characteristics they will need to succeed. Based on Dr. Stephen R. Covey’s bestselling book, “The 7 Habits of Highly Effective People,” the program, from Franklin Covey, will be integrated into all aspects of the school day. The program is being administered through a partnership with area philanthropist Diane Troderman, the West Springfield-based Harold Grinspoon Foundation and the Jewish Federation of Western Massachusetts. Staff at the academy completed the training in June. Other schools expected to undergo the training are Heritage Academy, also in Longmeadow, Lander Grinspoon Academy in Northampton and the Springfield Jewish Community Center Preschool. The program, which is integrated into a school’s core curriculum, has been proven to result in higher academic achievement, fewer discipline problems and an increased engagement between teachers and parents. 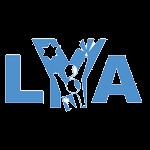 Rochel Leah Kosofsky, who teaches Judaic studies and family education at LYA, was first introduced to the program at a one-day conference in March at the A.B. Combs Elementary School in Raleigh, N.C., where the program was first launched in 1999. Kosofsky said administrators at LYA decided to undergo the training, which involved three intensive days in June. Kosofsky said the training was very effective and engaging. In addition to the three-day training, the program will continue to be taught to teachers and staff during school in-service days throughout the school year. Teachers kept in touch over the summer through email, telling their co-workers how they are using the “7 Habits” in their daily lives. Kosofsky said the “ program will be fully integrated into the school day for students. Kosofsky said program administrators say it takes three years to see a complete curriculum change, but that they will see results immediately. The end goal, she said, is to cultivate a new generation of leaders — children that feel empowered and have high self-esteem.